Based on the number of articles we have published on the subject, Asia Research might seem a bit obsessed with Brexit, particularly not being in either the UK or Europe. But from a trade, financial, and political point of view, Brexit has implications far beyond Europe and hence well worth reporting here in Asia. From a more ‘System 1’ basis of thinking, we dealt with ‘The Psychology of Brexit’ in the Q3 2016 edition. 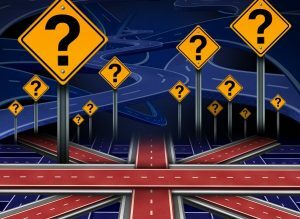 In this article, the author takes a more ‘System 2’ view in examining the ‘The Commercial Realities of Brexit’, by looking at the facts. “So, I believe the framework I have outlined today is in Britain’s interests. It is in Europe’s interests, and it is in the interests of the wider world. That would be an act of calamitous self-harm for the countries of Europe, and it would not be the act of a friend. Britain would not—indeed we could not—accept such an approach. The Brexit referendum, was a majority decision and the UK Prime Minister, Theresa May, stated she will abide by it, despite prior to the vote campaigning to remain in the EU. Her speech at Lancaster House on 17th January 2017 surprised many with its clarity. In essence, having been rebuffed in numerous ways by EU members since she was raised to the office of Prime Minister, she took the bold step of declaring that Britain would not seek to remain in the EU or to retain Single Market access within the current arrangements. Instead she expressed the intention for the UK to remove itself from all existing ties consequent upon membership of the EU and will instead seek to enter into a new trading relationship with the EU. This was the most extreme form of Brexit that the broadsheets had discussed, and it had been largely discounted by the UK industry and banking industry who sought or had even assumed a ‘soft Brexit’ over an extended time. Let us take a different tack and examine the underpinnings. Rather than offer further opinion, it might be useful to examine the facts that underlie the three broad issues that Theresa May discussed in her speech at Lancaster House. Most commentators have focussed on ‘passporting’ (this allows financial institutions, to locate themselves in an EU state and do business in other European Economic Area states, without additional financial or administrative impediments). In practice, this potential loss of passporting might be less significant than the question of ‘clearing’. Most banks already having EU subsidiaries based in France, Ireland, or Germany—thus the decision about whether the customer relationship managers in these banks will need to be based in the EU, or whether the middle or back offices will also need to be located in the EU, is more divisible. Clearing is the process whereby different sides of a financial transaction settle the trade. European leaders appear to think that they have spotted a prize: a large number of high-skilled, high-wage jobs which could be mandated to be located within the EU27’s borders. One leader of an EU nation has publicly stated that he wants Euros to be cleared within the Eurozone. This is interesting and pertinent because this is not a statement about regulation, but rather a clear commercial desire, as currently the European Central Bank does not have the power to regulate clearing houses; this is instead left to national central banks. Whilst the revenues that the London Clearing House derives from the clearing business are measured only in the hundreds of millions of US dollars, it is easy to overlook the central importance of the business. That is because after 2008 it was agreed and mandated by the G20 to bring bilateral contracts onto a central exchange platform, in order to make them more visible and to reduce the financial risks within the financial system. The central importance of the clearing house is that it is a risk buffer in the financial system, rather than a risk-taking enterprise (e.g. banks and asset managers). By centralising the various exposures, they are able to nett off a significant amount of the exposures and can therefore compress the regulatory capital required to be held against these various transactions. In 2015, USD 25 billion of regulatory capital was freed up by this netting and compression. The more transactions that are cleared in a central location, the more netting and compression can take place, increasing the efficiency and lowering the costs of doing further business. Thus the idea of moving only Euro clearing to inside the EU—which would therefore have the effect of requiring tens of billions of Euros of additional regulatory capital to be put aside against these trades, funded by the banks and the corporations who are engaged in these trades, would be unattractive. It would increase costs and reduce available credit within the Eurozone for banks to lend to customers. For Italy, Portugal, Greece and a number of other countries this would be unwelcome as they are struggling to find smaller sums to effectively recapitalise their domestic banks. As a by-product, it would increase the cost of doing business for banks and companies in Africa, Asia, and South America. It would therefore make sense to try to co-locate the vast bulk of all clearing services within the EU27. Let us look at the prize. It has been estimated in an Ernst & Young report that 232,000 jobs are at risk in the UK if clearing were to leave. This would therefore require these 232,000 people with a range of specialist skills to be found within the EU, and promptly. The idea that a significant function could go from London to another EU state to continue that function, with the people going to the new location, seems questionable. When JP Morgan, a US investment bank, looked at the situation, they cited a range of significant impediments to moving to Paris, including France’s protectionist labour laws, let alone the 28 years that they reported it would take to find schools for the children of 800 staff! Bearing in mind the inability of German regulators to control Deutsche Bank, and the numerous transgressions and accruing fines, it is questionable as to whether the German banking regulator together with the German Central Bank would be looking for a very large complex additional area to supervise, in the form of Euro clearing. It is even possible that, as an unintended consequence of trying to make Euro clearing more cumbersome in the UK, Euro and perhaps other clearing services are squeezed out of the EU to New York. The other significant area that Theresa May mentioned was a desire to maintain security ties. Whilst much comment has been directed at the UK–EU relationship, little comment has been directed at the EU27’s internal relationships post-Brexit. The matter of the UK’s nett contribution to the EU budget, which was €8.5 billion in 2015, will highlight this area, as the deficit will need to be made up by the rest of the cash-strapped EU27 or there will be the prospect of services needing to be cut. Britain, as the second largest importer of EU goods in the world, will have significant leverage over the setting of tariffs for manufactured goods and will be able to use this in settling the overall trade agreement, but it is always possible that an emotionally blinded EU—especially where Juncker, Head of the European Parliament holds some sway—could make an emotional decision rather than one guided by getting the best solution for all concerned. Theresa May hinted that, if an acceptable deal is not reached, she could turn the UK into a regional tax haven in order to retain business in the UK: a sort of ‘supersized Singapore’ in Europe. How will we know in which way the above arguments are playing out? In the Sterling / Euro exchange rate, the last two years have seen a broad and steady decline in the purchasing power of Sterling. Watch the consistency of the price movement carefully. The 1.20 level is a litmus test. If the rate breaks above 1.20, you will know which side the market participants are backing. Expect further appreciation thereafter.